Panasonic's KX-T7710 proprietary telephone is stylish, easy to use, and affordable. 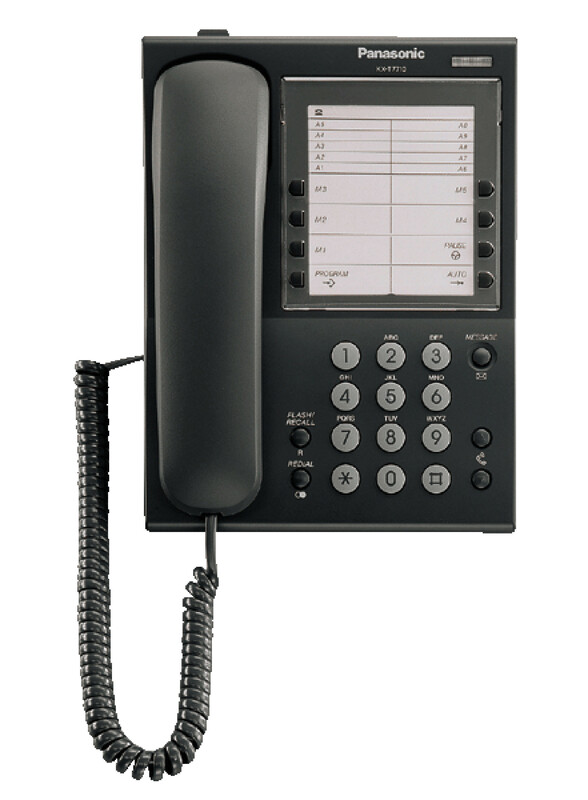 Equipped with a large, convenient One-touch Button Panel, Message/Ringer Lamp and Data Port, the KX-T7710 is ideal as an office or hotel room phone. A number of additional functions are available when connected to a Panasonic PBX system.